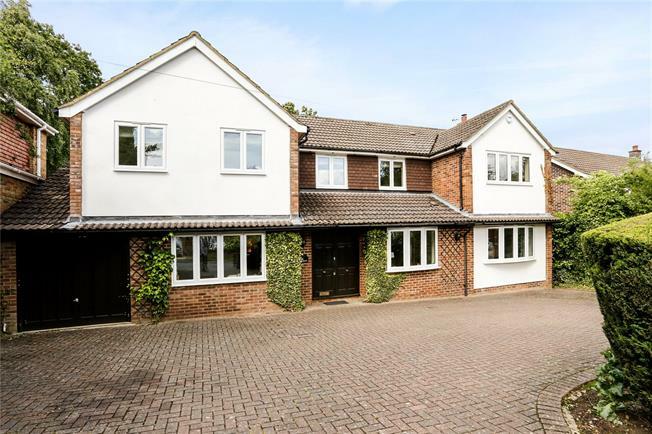 5 Bedroom Detached House For Sale in Gerrards Cross for Asking Price £1,300,000. Hamptons International offers a 5 bedroom (2 ensuite) detached family home with 3 reception rooms and feature 26' x 22' kitchen breakfast room. The property is well situated in just over 0.4 of an acre, with in and out carriage driveway, integrated garage & 200+ ft rear garden. NO ONWARD CHAIN. The property is approached off Howards Thicket over a large block paviour driveway offering generous parking for numerous vehicles. There is access to the integrated garage and side access to the rear garden. The rear garden is a particular feature, being circa 250ft in length. In all the plot is 0.4 acres.